Getting your bearings and knowing everything you can about a Forest/Domain you are migrating is key. Which domain controllers in the Forest and Domains hold the Operation Masters roles is one of those important details as you modify or decommission domain controllers. In Today’s article I am showing you how to identify your Operations Master Roles and then how to migrate them to other domain controllers using PowerShell. Honestly, this is my go to procedure to migrated the Operation Masters roles. Using these PowerShell commands is much easier to move Operations Master Roles than hunting and pecking through the different Active Directory management consoles. Here is how to do it. Single Level Forest to get Operations Master Role locations. Now that we know where the Operations Master Roles reside, we can now move them to other domain controllers with another simple command. Note: Permission are key. You will either need Enterprise or Domain Administrator permissions to perform these moves. 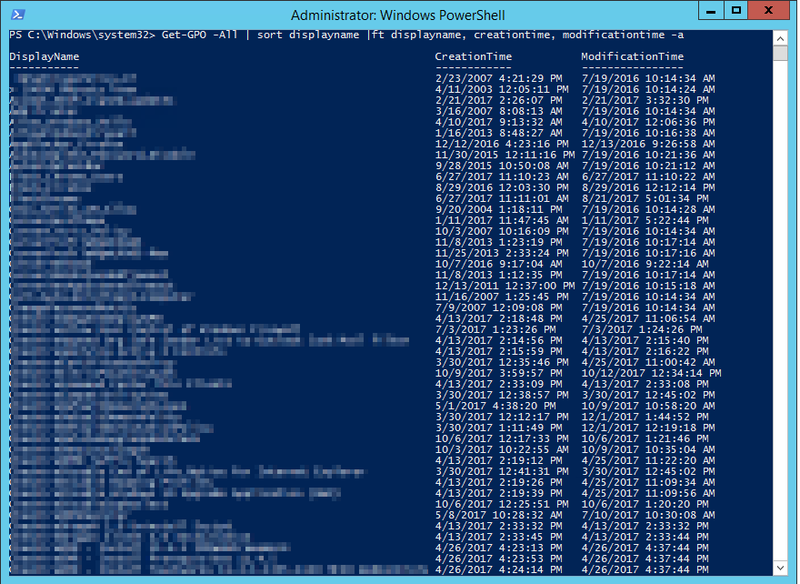 From one PowerShell window you can identify and move any Operations Master role in your Forest or individual domain. No more opening multiple Active Directory management consoles. Whether you are moving the roles before a Domain Controller rebuild or migrating the roles off for other reorganizational reason, this makes it easy. 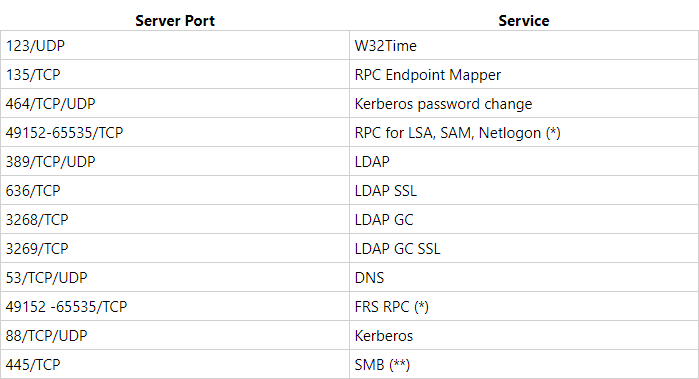 So once you have cleaned up your group policies like I outlined in my last two Active Directory Scripts Highlights, what’s next? 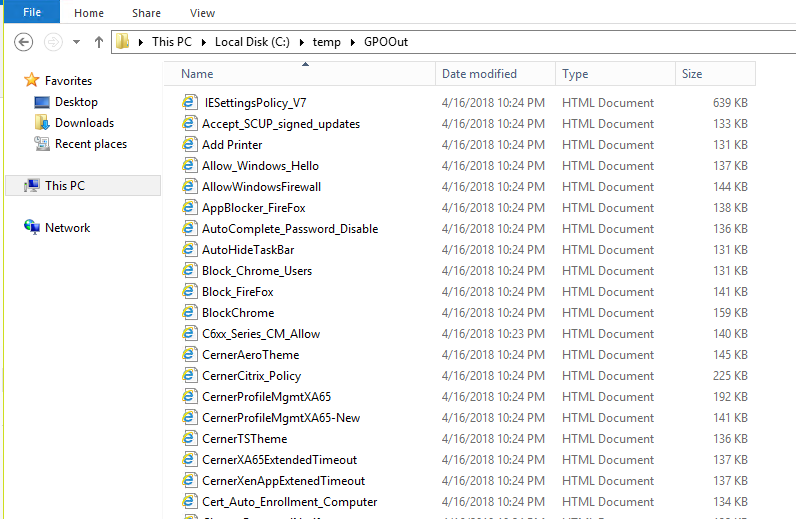 In this article I have a couple of variations of scripts using the Get-GPOReport cmdlet that will allow you to export all of your Group Policy settings into HTML pages, just like you would see from the Settings tab from within Group Policy Manager. The first script exports all of your Group Policies into one big HTML page. This will allow you to both have a record of all of your group policy settings, and it is also a quick way to produce a single searchable page for certain Group Policy settings within all of your Group Policies. The second script exports your Group Policies into individual HTML files. These are searchable from a folder level based on name or text inside each of the HTML files. Note: Remember to Create your output path with the following command first or your PowerShell script will error out. Both of these scripts provide a way of capture your group policy setting from a point in time to document your environment or give you a professional output when providing documentation to those organization you are performing migrations for. Do you have any GPO Documentation scripts? Paste them in the Comments below. Going a step further from the previous post with a little more detail, the script below adds of GPOStatus, and version increment number for Computer and Users section for each Group Policy. With the addition of GPOStatus, Computer Version, and User Version, a few more cleanup options are possible, both to remove orphaned policies and to make Group Policy processing faster during logon or computer restart. Two things to look for with the addition of GPOStatus and Computer and User Version numbers. If you see a Group Policy with a zero in both the User version and the Computer version, you know that no settings are set for that policy and the policy can be deleted. Additionally, if you see a Group Policy that has a zero in either of the User version or the Computer version and the GPOStatus is set to AllSettingEnabled, you could speed up the Group Policy processing by disabling the User or Computer portions of the policy. Any PowerShell tricks to keep your Group Policy Objects cleaned up. Drop you tips in the Comments below. Todays Active Directory cleanup topic looks at Group Policy Objects. In most of the environments I have prepared for migrations, old Group Policy objects are another problem area that should be cleaned up before an Active Directory migration. In many cases, as organizations are brought into the fold of another company, some of the OU structure is maintained until full integration can happen at a later date. In this case, maintaining the active Group Policies to preserve user and computer object settings, limiting the number of changes during this transition, is important. Finding the group policies that are active is the trick. The example below will give you a good base understanding of the migrating organization or your current Group Policy structure to enable you to clean up potentially stale Group Policies objects. Sometimes the simplest scripts and get you a long way. Today’s Group Policy identification script is a basic inventory of what you have for Group Policies with their creation time and last modified time. Looking for Group Polices that were created a long time ago and not modified in a while could signal the first pass a what could be targeted for removal. Working together with the administrators of the organization being migrated on this list of Group Policy Objects will likely reveal more that could be removed allowing you to focus on only active Group Policies slated for migration or cutting some of the fat and making your Active Directory a little leaner. In the last of my Active Directory cleanup post, I have given you some options to identify, disable, and move User objects based on a certain time of inactivity. In this post I am going to give you some simple scripts to do the same thing for your Computer objects. The hope it that by following these posts you will be left with the real target of objects to be migrated, or to give your Active Directory a good spring cleaning that often gets neglected in the day to day management of your environments. The first script will give some basic information back on Computer Objects that have not set their computer password in the last 180 days that are not already disabled. Output gives SamAccountName, LastPasswordSet, Name, DistinguishedName, and confirmation that the Computer Object is enabled. Sorts the output by LastLogonDate attribute and Exports the output to a CSV location. This is a broad sweep to get an idea of what is out there so you can make determinations about location and age of Computer Objects. Modifying the output to include more or less attributes is as simple as adding them to the select-object string. So after you have reviewed the output, what do you do with the data? This is where cleaning house starts to come in. After you have determined that the accounts are the target that you want, you can then take action to disable them. I recommend disabling them instead of deleting them because it is inevitable that someone will come back after a long sabbatical and have trouble logging on because their Computer Object has been deleted. The script below identifies the same group of Computer Objects over 180 days since their computer renewed its password as we did before, sets it as a variable and disables all of those identified Computer Objects and then moves them to a designated DisabledComputers OU. One more modification to the above script as searching your entire domain as the script above to identify all Computer Objects over 180 days old most certainly will be too broad. The script below targets an OU. In most environments you will probably have your Computer Objects in one OU and your Server Objects in another OU. They are all Computer Objects in Active Directory so the script below will allow you to target just the right OU to make sure your disabling doesn’t reach the wrong population of Computer Objects. By Specifying “-SearchBase” you can target only Computer Objects location you desire. Have your own Active Directory cleanup scripts. Computers? Users? Groups?. Help out and add them in the comments section. 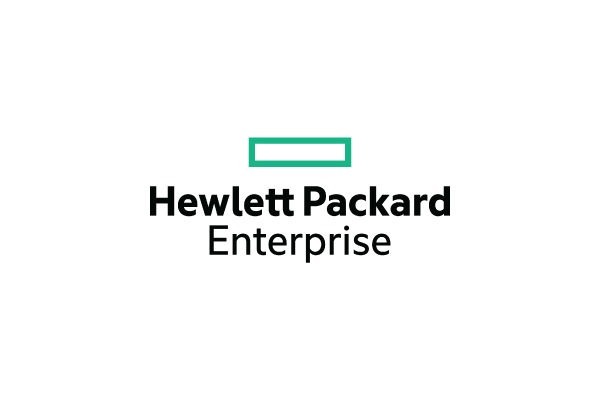 Both Dell and HP have released System ROMs to protected against the Spectre variant 2 vulnerabity for their Haswell and Broadwell line of servers which encompasses most of the PowerEdge 13G line and the HP Gen9 server lines. Last week the PowerEdge 14G line and HP Gen10 line System ROMs were released. 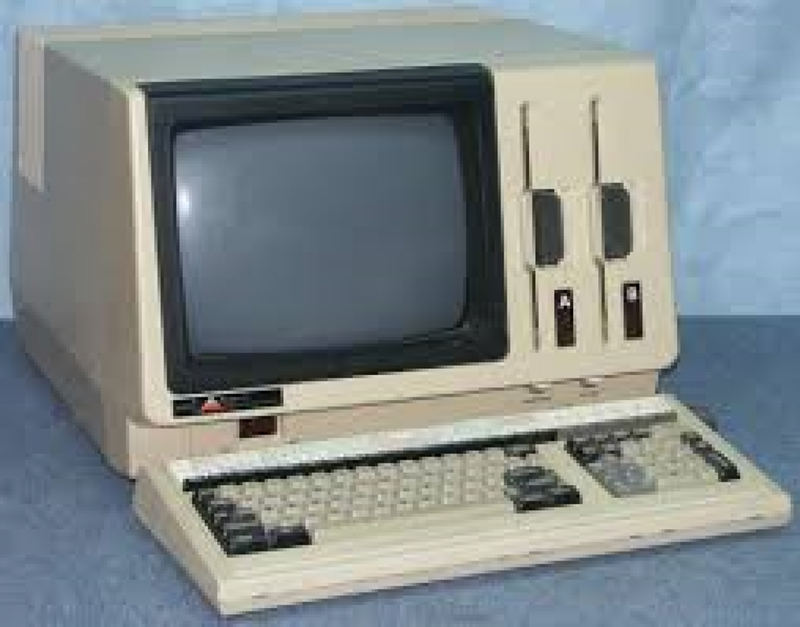 Whereas this was good progress, the bulk of enterprise server environments rely on the Haswell and Broadwell line of Intel processors at this time. With this release, it will now allow for most of these environments to be protected. Dell PowerEdge 12G and HP Gen8 System ROMs are still being developed with hopes to be released in the coming days/weeks, but there is little hope for pervious generation servers will have a full fix at the System ROM level. Stability will be the key as the first round of System ROM releases were a bit shaking causing crashes both at the Host and VM levels. I will be installing the new ROM and will report my findings. If you see any issues, let me know.